PHUKET: FC Phuket is only one step short of hitting rock bottom after suffering yet another loss on the weekend. PHUKET: Lightning storms may have interrupted the second day of competition, but it didn’t stop the records tumbling as the British International School Flying Fish swim team dominated their home event. PHUKET: The defending champions may be a notable absence, but that won’t stop a true feast of international rugby arriving on Phuket’s doorstep later this month. PHUKET: Phuket may no longer be off the beaten track for tourists, but it certainly was for around 320 runners on Sunday (May 6) morning. PHUKET: FC Phuket, now in second last place in the Division One football competition, has launched a “Save FC Phuket” campaign which involves selling shares in the team to supporters. PHUKET: FC Phuket have withdrawn from their Thai FA Cup match against Trat, which was due to take place tonight (May 9). 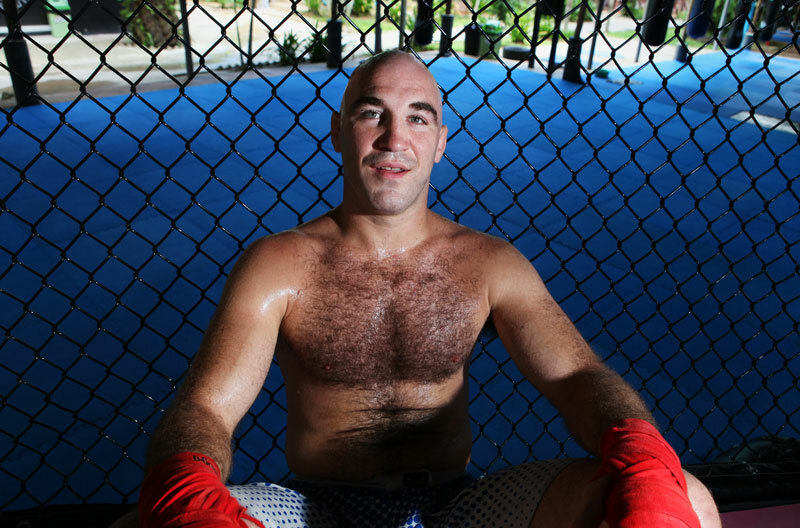 PHUKET: With 65 professional fights, an undefeated 3-0 UFC record, an improbable debut victory over legend Chris Lytle, an impenetrable chin, and an odd fixation with his chest hair, it’s safe to say that Brian Ebersole carries an impressive resume – both as a fighter and as an “interesting” guy. PHUKET: FC Phuket continued their run of poor form last weekend, overcome by the tactically superior ‘Blue Marlin’ of Sriracha Suzuki FC at Sriracha Municipality Stadium on Sunday (April 29). PHUKET: Thanyapura News Tigers (TNT) may have failed to finish their season with a win on Sunday against Laguna, but there was still some consolation to cap off their first year in the Island Furniture League (IFL) in Phuket. 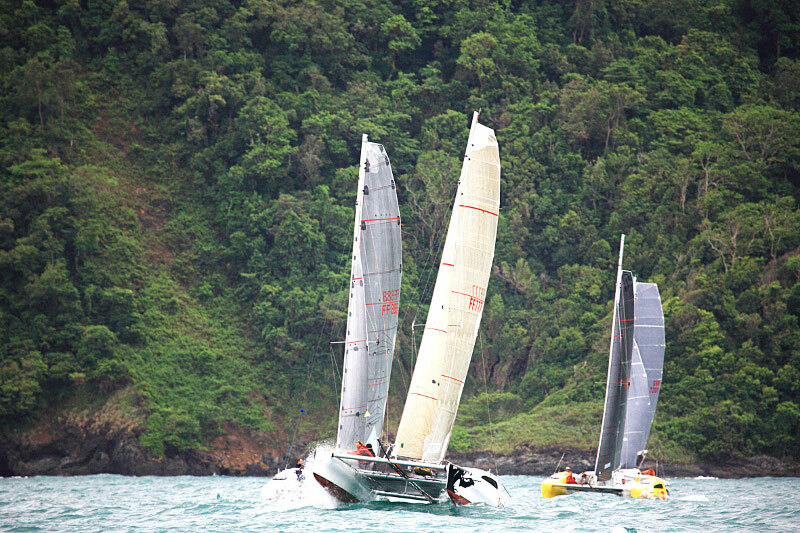 PHUKET: The organisers of Phuket Race Week, the island’s popular wet and windy season regatta, have announced that they have at last secured a base for all the essential parties that go with the event. 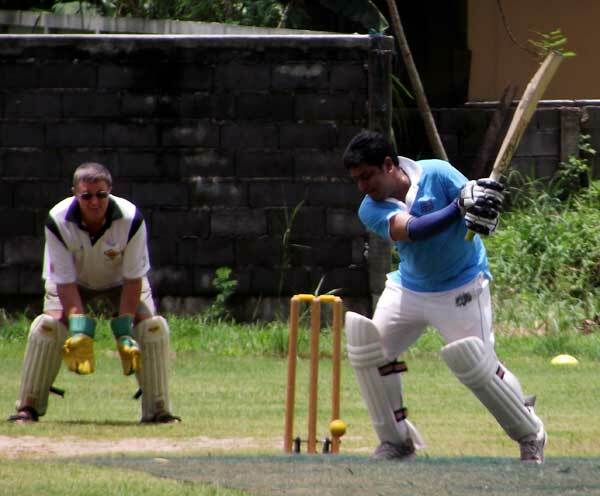 PHUKET: Phuket Leopards were forced to forfeit their match in the Island Furniture Cricket League (IFL) on Sunday (April 22) due to a lack of players, gifting Island Cricket Club (ICC) the full seven points. PHUKET: FC Phuket may have had their financial future secured, but on the pitch it was an all too familiar story as they took on Suphanburi FC at Surakul Stadium on Saturday (April 21). 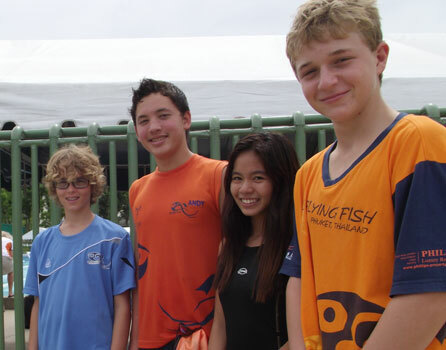 PHUKET: After successfully competing in meets in Malaysia, Singapore, Bangkok and Surat Thani this year, the Flying Fish swim team from British International School Phuket (BIS) will be looking to replicate that success when they host their own tournament next weekend. 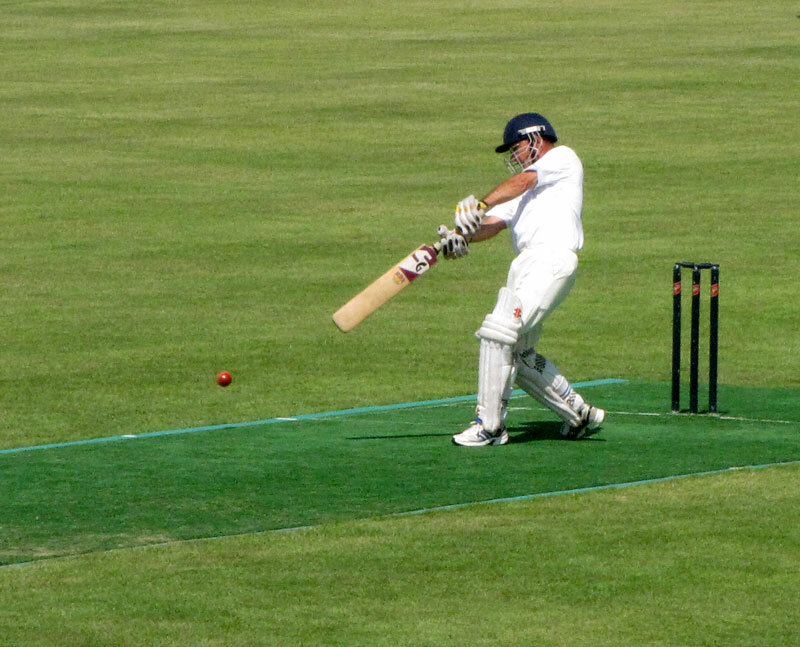 PHUKET: After some unscheduled and lengthy ‘drinks’ breaks due to rain, the finals of the 9th Phuket International Cricket Sixes tournament were played under glorious sunshine at the Kata Group Sports Ground in Chalong on Sunday (April 22). 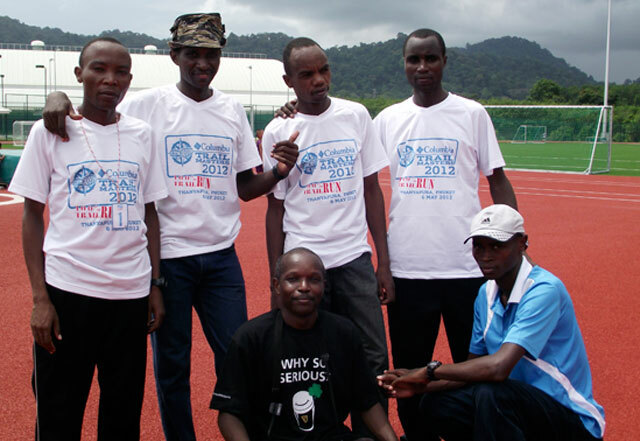 PHUKET: The local sporting calendar continues to grow with the introduction of a new trail running event next month. 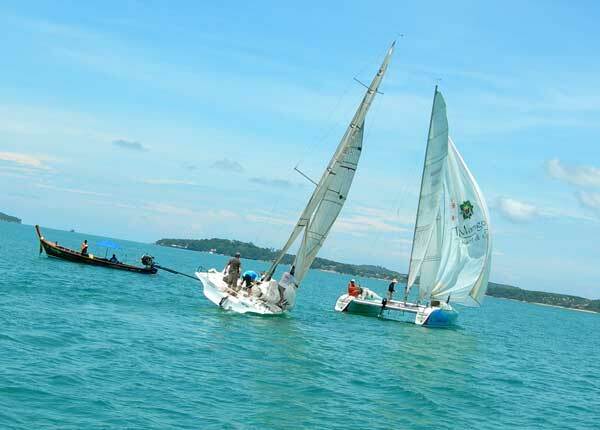 PHUKET: Only five boats turned out for the third race in the Irish Times Series on Sunday (April 15), but there was no shortage of spectators at the Ao Chalong Yacht Club (ACYC), who lugged in plenty of beer and sunscreen to survive the intense heat. PHUKET: If there were sore heads on Saturday morning after Songkran, there were definitely sore bodies on Sunday after the inaugural Songkran International Soccer 7s tournament. 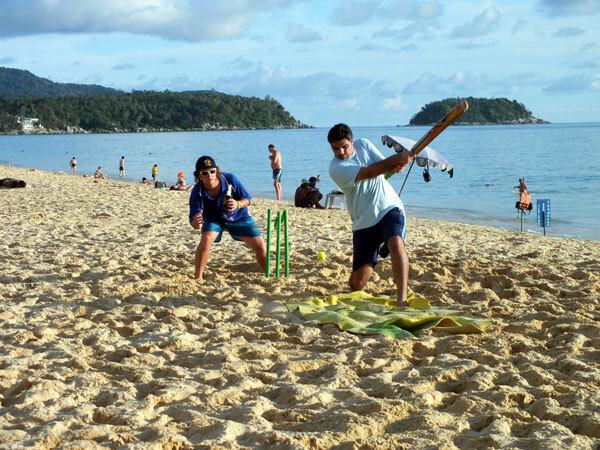 PHUKET: Last week saw the first ever Kata Group International Cricket 7s, getting underway on the island. 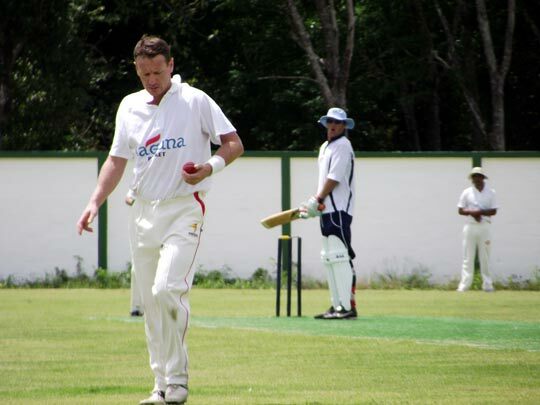 PHUKET: Liquid Lounge Lizards recorded only their second win of the Island Furniture Cricket League season last weekend – yet in doing so they delivered one of the finest individual innings played on the Alan Cooke Ground (ACG). 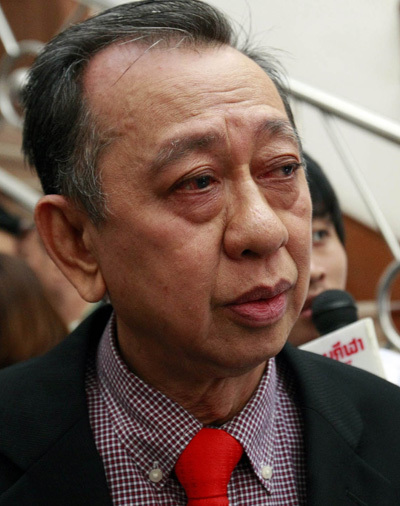 PHUKET: It was probably the best news FC Phuket fans have had in a long time – Rawi Lohthong, the Bangkok-based owner of Siam Sports, has agreed to help the club solve their financial woes.